BRIGHT Akhuetie may be strutting his wares now for the University of the Philippines, but he always keeps tab of his former school in University of Perpetual Help. That’s why when news broke out that his former teammate and good friend Prince Eze finally won the MVP in the NCAA, Akhuetie couldn’t contain his excitement. “He’s always been good, even last season he was, but he didn’t make it to Final Four. All I have to say is his hard work finally paid off and he really deserves it,” said Akhuetie who played with Eze for two seasons with the Altas before making the jump to Diliman. The 6-foot-10 center out of Nigeria normed averages of 18.2 points, 16.5 rebounds, and 3.3 blocks in a season when he led the Altas to a magical run back to the semifinals with a seven win improvement from last season. They eventually met the San Beda Red Lions in the semis which ultimately ended their campaign for Season 94, but Eze’s performance just couldn’t be denied anymore. “I am very happy for the team cause of their performance of course the work that coach Frankie Lim did with the team and he brought them that far. It’s really good. 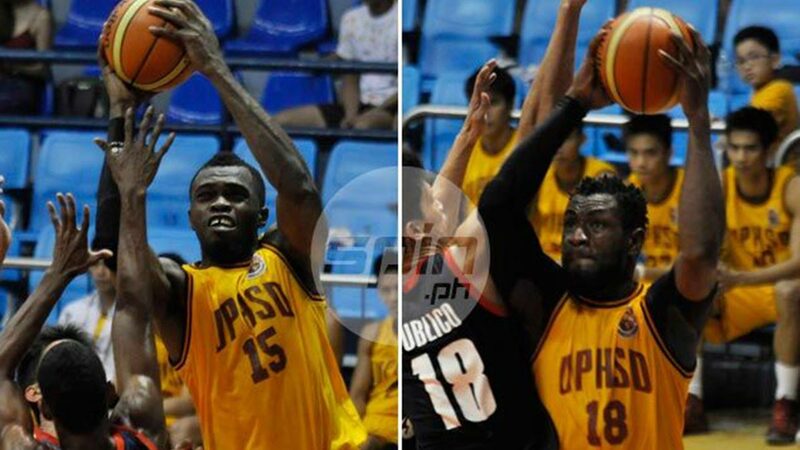 I really like it,” said Akhuetie who last played for Perpetual back in Season 92. “For him (Eze) winning the MVP, we all know he would have wanted more - a championship, but I think that just shows that he’s doing great,” he added. With Eze now having his and Akhuetie leading the MVP race in the UAAP Season 81, the two ‘brothers’ could be lifting individual awards before the year ends. While that brings a smile to Bright’s face, he doesn’t want to preoccupy things and would rather focus on UP’s final push for a semis slot.